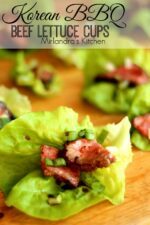 These Korean BBQ Lettuce Cups make wonderful appetizers. Savory, tender beef on crisp, sweet lettuce. 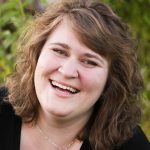 My guests are still talking about them a year later! Everybody loves appetizers! Jonathan and I love them so much we sometimes have special date nights with carpet dinner picnics made up of our favorite appetizer treats. It is a silly tradition but we love it and look forward to those romantic evenings. As much as we love great appetizers they can get a bit out of control around the holidays! Nothing is worse than serving your guests a wonderful treats before the meal and then having them too full to enjoy the main course. These Korean Lettuce Cups are my answer to that problem. We served them at a dinner party for Jonathan’s work team and they were devoured. The kids loved them too! The marinade is a derivative of a traditional Korean marinade for Beef Bulgogi and makes savory bites of tender beef. I bought butter lettuce at Costco in a two pack and found the heads to be tender and fresh each time. It was also the cheapest I found it. Baby hearts of romaine would also be a good lettuce for this project. Thanksgiving is the perfect day to make these light but satisfying appetizers. Serve them when everybody is getting hungry and dinner is not quite ready yet. Your family and friends will enjoy the unexpected appearance of red meat and nobody will be too full to enjoy dinner. You can always serve the cheese plate too!!! One of the secrets to the flavor in this recipe is fresh ginger in the marinade. My all time favorite tool for ginger is a Microplane Box Grater. I use it for all sorts of kitchen tasks, but ginger above all else! 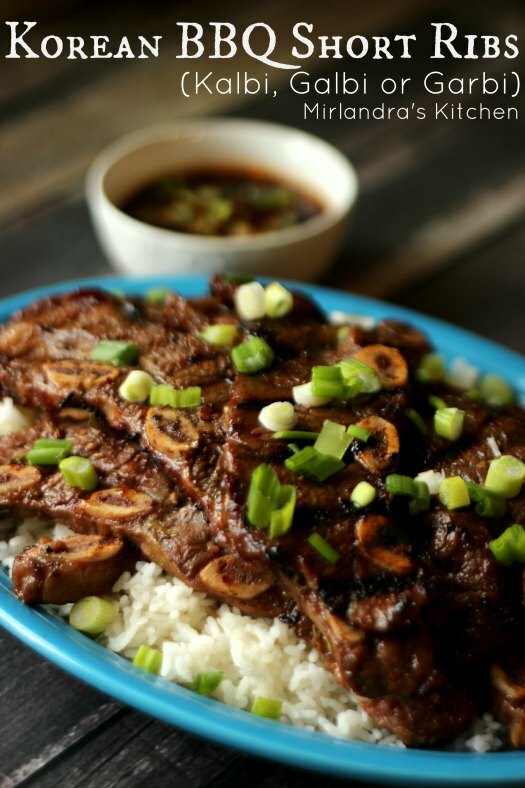 If you enjoyed this, you will love my Korean BBQ Short Ribs! They are simple and downright amazing! Korean style BBQ beef strips in tender leaves of lettuce make the perfect light starter for any party. Remove the beef and grill over high flame 90 seconds on each side to sear the meat and set grill marks. Reduce grill to a low flame and cook until medium rare, turning as needed. This is about 10-15 minutes depending on the thickness of the meat and heat of your grill. Remove and let meat rest for 15 minutes . Meanwhile, mince up 2-3 green onions. Use a small paring knife to remove the core at the base of the lettuce. This will cause the head to come apart into leaves. Wash lettuce and pat dry. Slice the beef into thin slices against the grain. Cut each slice into bite sized pieces. Lay leaves of lettuce on a serving tray. 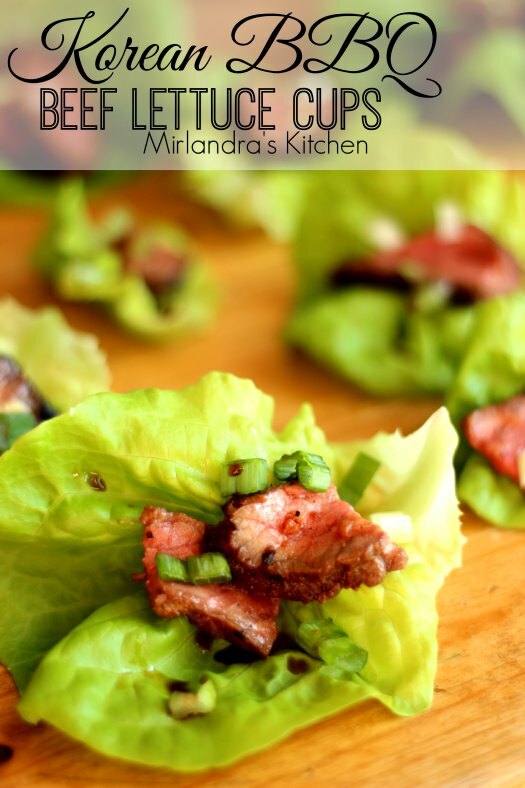 Place pieces of beef in the lettuce cups. Use one piece for a tiny leaf and 2-3 pieces for a larger leaf. Garnish with bits of green onion and drizzles of youshida sauce. Serve immediately. Do ahead: If you are planning a party with lots of cooking make the marinade up to a week before you need it. The meat can be marinated the night before as long as you refrigerate it. On the day of the party cook the beef about an hour before you want to serve it and let it rest longer. Assemble the cups right before you want to serve them.